With the exception of some titles that are awaiting reprinting (see below for details), all are available for purchase online by clicking on the links below. Digital downloads of selected itineraries are also now available for purchase. Alternatively you may submit your order by post. Please download, print and complete this order form (link) and return to the GA with your payment. Company details as well as information on our refund policy can be found here. If you are a GA member, you are eligible for a discount on the GA Guides. Please ensure that you click the ‘Member’ option to receive your discount. Although the aim was to cover equally each area in the region, the complex nature of the region meant that some selection was inevitable. Each of the 25 itineraries is produced by an expert on the ground. The guide is designed to be used with topographical maps. The importance of observing the code of geological fieldwork is emphasised. 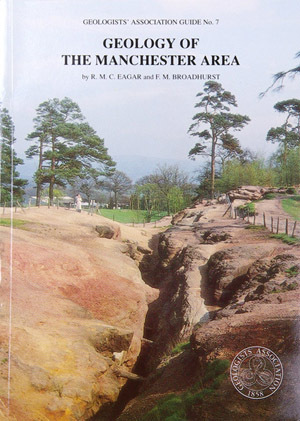 The rocks exposed in the Manchester area range in age from Dinantian (Lower Carboniferous) to Triassic and superficial coverings of Pleistocene and Recent sediments. Of the sixteen itineraries described, two are devoted to Dinantian, five to the Silurian, four to the Triassic and three to the Pleistocene and Recent. The last two intineraries are concerned with mineralisation and mining and with the building stones of Manchester. 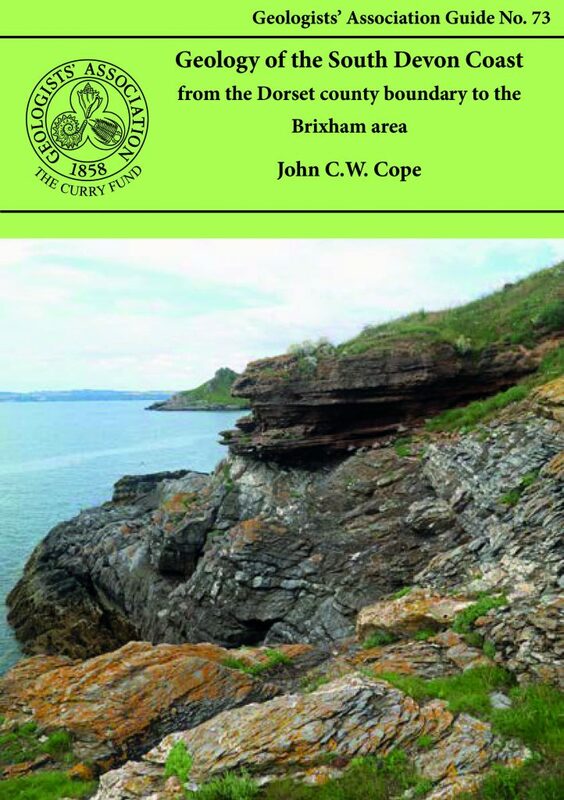 The itineraries described in this guide have been designed to illustrate the stratigraphy and structure of a long coastal tract of Devonian and Carboniferous rocks. As some aspects of the coastal structures are to be related to granite intrusion, one itinerary deals with the northern part of the Bodmin Moor granite and its envelope. 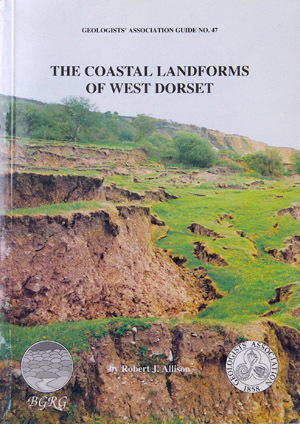 New: 2nd edition of the Geologists’ Association Guide to the Dorset CoastThe Dorset coast has provided the training ground for many aspiring geologists and also attracts amateur geologists in large numbers. 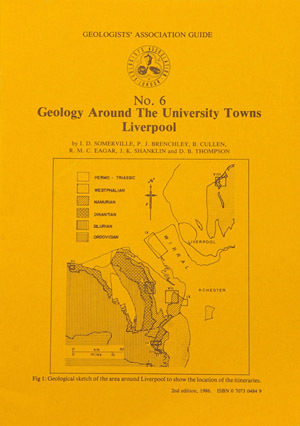 This guide provides information that will be accessible to those from all levels of geological background. 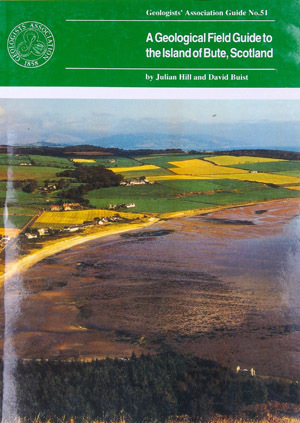 In addition to the description of the succession, the guide covers many other aspects of the geology as they arise and includes information about access. 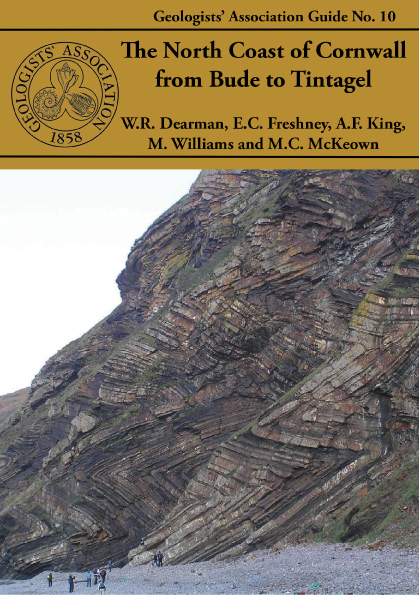 The new second edition includes updated stratigraphical details and benefits from data and new interpretations by Malcolm Butler (chair of UK Online Geophysical Library) of six north-south seismic lines over the county. These enhance the value of the guide and add a further dimension to the geological descriptions. The seismic profiles can be downloaded at a larger scale from the UKOGL website (www.ukogl.org.uk). This is the third edition of this Guide and although there have been changes in classification etc. the general exposures are as good as they used to be. Most of the itineraries in this Guide have specific locations marked on accompanying sketch maps. Where greater precision is needed grid references are given. 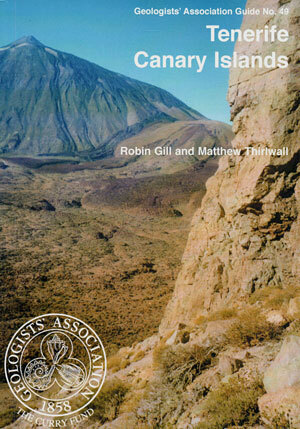 This new guide has itineraries grounded in a well understood and documented stratigraphy that spans all periods from Pre-Cambrian through to Triassic and covers lithologies from volcanic tuffs and lavas through fossiliferous marine and fluviatile sediments to aeolian sandstones. 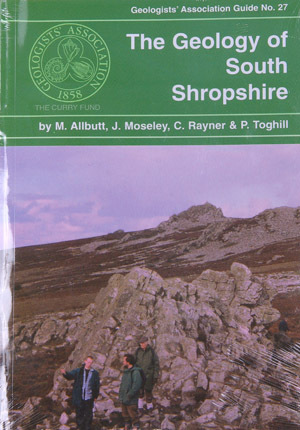 The authors hope to share their thrill of finding that the older classic areas of Shropshire still have the capacity to inspire. West Cornwall is a classic area of British geology on account of its wide variety of igneous and metamorphic rocks, and its mineral deposits, especially tin and copper. 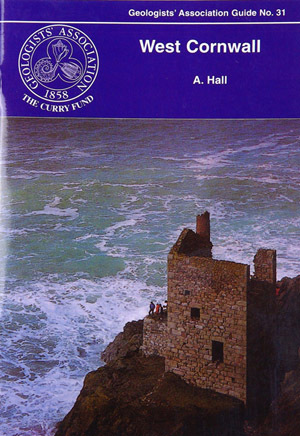 The five itineraries cover all the prime localities in the region where these rocks can be examined including Land’s End, Marazion, St. Michael’s Mount, Cligga Head, Kynance Cove and The Lizard. The large variety of igneous and sedimentary rocks to be seen on the excellent coastal and island exposures, perhaps excelling any other area in the world has made the Isle of Arran so popular with geologists. The guide has been written assuming a very basic knowledge of geology on the part of the reader. 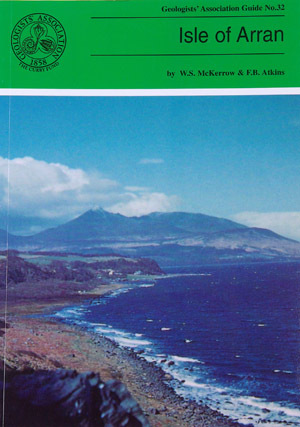 After an extensive introduction to the geology of Arran the six excursions are described together with geological sketch maps. Each excursion can be carried out in seven to eight hours with an indication of a suitable lunch stop! The Yorkshire coast provides magnificent exposures of Jurassic and Cretaceous rocks that were deposited in the Cleveland Basin and on the adjacent northern part of the East Midlands Shelf. Much of the lower-lying ground is covered by a thick sequence of Quaternary deposits, well-exposed along the Holderness coast. 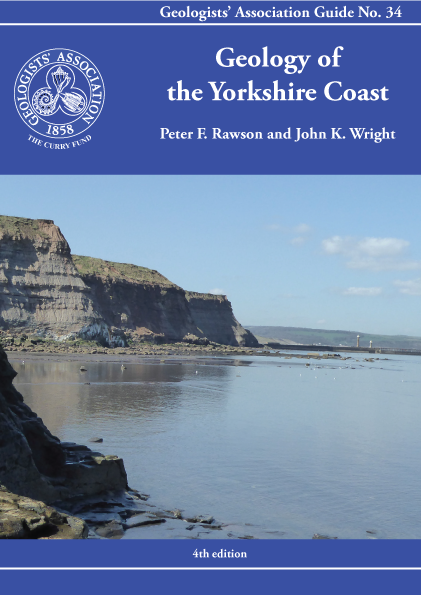 Thus the coastal area has attracted the attention of geologists for a long period of time and the appearance of this fourth edition of our guide celebrates 200 years of research. 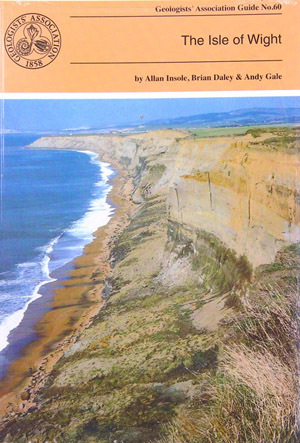 As geological concepts and techniques have evolved, successive generations of geoscientists have returned to the classic exposures here, so that significant advances have been made since the appearance of the last edition of this guide in 2000.This new edition of the Guide to the Yorkshire Coast has been expanded to include the important Holderness sections as well as adding a new Lower Jurassic itinerary, Runswick Bay. It thus embraces almost all of the Yorkshire North Sea coastline, together with some adjacent inland exposures. A new chapter with interpretation of several seismic sections is included to illustrate aspects of the tectonic history of the area. 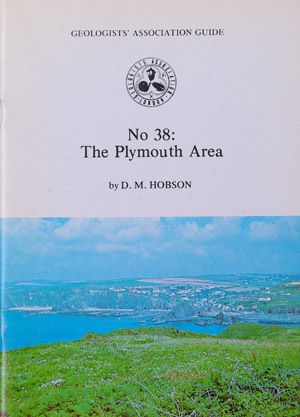 The five excursions described in this Guide are centred on the city of Plymouth, and although they are mostly concerned with Lower Devonian rocks, details of other important elements in the local Variscan geology are also included. The first three excursions deal with the stratigraphy and structure of various sections across the Dartmouth Antiform, itinerary four with the southern flanks of the Antiform and rocks of the Start Complex, and itinerary five with features exposed inland north of Plymouth. The Lleyn Peninsular is especially known for the numerous and splendid coastal exposures of Precambrian and Lower Palaeozoic rocks. 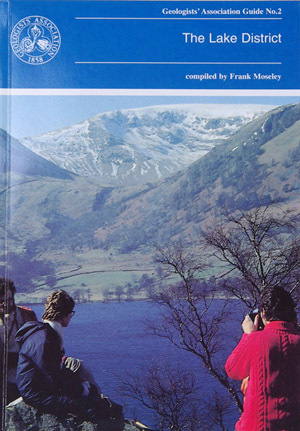 Access is relatively easy to all the thirteen itineraries described in the Guide due to the small extent of the Lleyn. The major points of interest in each of the itineraries is described together with an indication of the time required and tidal considerations. Anglesey contains a fascinating variety of rock types and geological structures, best exposed in a magnificent coastline ‘Hard rock’ and structural geology interests are catered for in Precambrian and Ordovician areas, palaeontology in the Ordovician and Carboniferous and sedimentology in all the systems. The ten itineraries are roughly in stratigraphical order but each itinerary covers a particular area. An indication of the approximate length of each itinerary and their dependence on tides. The rocks of the island are well displayed in coastal exposures, and the clean, wave polished surfaces are ideal for studying rock relationships and textures. The 9 itineraries cover most of the island’s geology – metamorphic and igneous rocks, plutonic intrusions, etc. of the Cadomian Orogeny – in coastal sections. Emphasis is placed on safety (state of the tides) and whether the sites are RAMSAR (Wetland) sites with restrictions. This guide is primarily designed to be used by those travelling by car, based in Palma. Each of the 6 excursions covering Triassic facies and tectonic style, drowned Carbonate platforms, redeposited Oolites and Jurassic pelagic facies, platform Carbonates, pelagic sediments and black shales, paleogene non-marine Limestones and lower Miocene reefs and Turbidites, Messinian reef facies, proximal redeposited Carbonates and Messinian post-reef oolites and Stromatolites is very full and if taken in the winter may not be completed in daylight! An attractive mountainous terrain of varied Triassic to Quaternary geology differing from that of northern Europe and characterised by impressive Alpine-movement (Betic) structures. 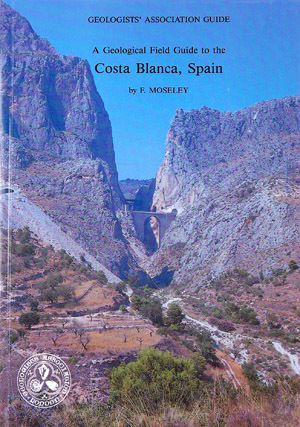 Some 18 very well illustrated and explained excursions in the vicinity of Benidorm and Alicante give an insight into the fascinating geological history of the area. Car transport is required. The Onny Valley, provides a classic and famous section through the Caradoc Series and along it are exposed all the characteristic rocks varieties containing their wellknown shelly faunas. 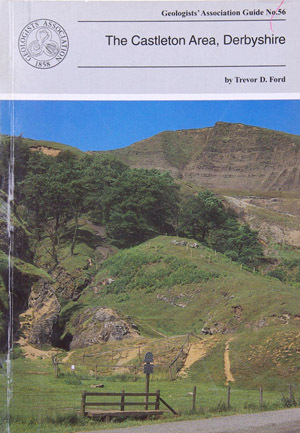 The trail guide is meant to appeal to students, undergraduates, as well as amateur geologists. The general public will find something to interest them too, as the trail follows a beautiful wooded valley, with plenty of wildlife to see. 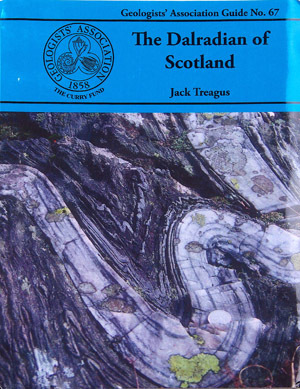 The aim of the guide is to help professional and interested amateur geologists to investigate the rocks themselves and to put them in a modern scientific context. 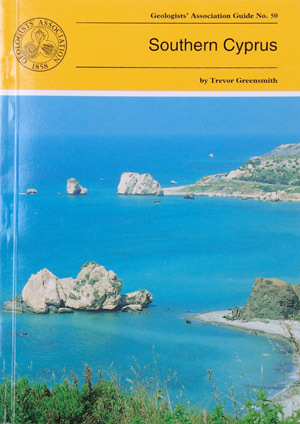 The guide provides an overview of the geology of the island and describes excursions to specific locations with a wide variety of geological features, mostly easily accessible on the foreshore. 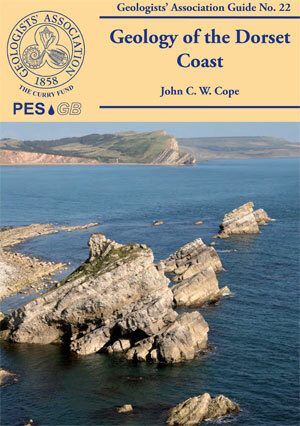 A series of itineraries illustrating the geology and denudational history along the coastline of West Dorset. This most beautiful coast is world famous for its spectacular recurrent landslides and the causes of these are fully explored together with their effects on shingle movement at beach level, the latter and best known being Chesil Beach. 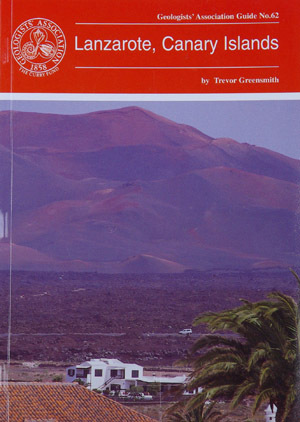 A guide to the superbly exposed volcanic geology of the island which is dominated by the sulphurous cone of Mount Teide and associated Canadas caldera. Eight itineraries, some involving rough walking, enable visitors to view most aspects of the evolution of the island through the last 12 million years or so. The various expressions of volcanicity, are clearly defined in a glossary. This Guide is to some of the more accessible outcrops in Southern Cyprus, including those of the world famous Troodos (Troodhos) Range. 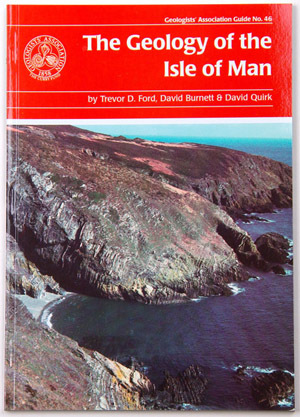 It is designed to give the questing novice in the subject of Geology a glimpse of the wide variety of igneous, sedimentary and occasional metamorphic rock types and rock structures which constitute this section of the island and explain the significance of what can be seen at any given locality. Many technical names have had to be introduced which are explained in the glossary. 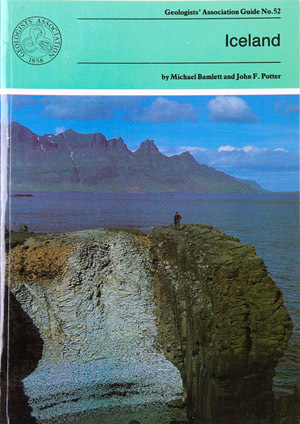 This guide, which has been written for the interested amateur (and to some extent, professional) geologist, has been planned in two parts, a general introductory section on the island’s geology and scenery, followed by a number of itineraries where interesting geological and topological features are displayed. Maps and drawings illustrate the text and assist in explaining some fundamental principles of geology. During the last 16 million years (up to recent times) igneous rocks with a variety of compositions have been extruded and then moved E or W of the rift valley which marks the central line of the Mid-Atlantic Ridge The ice sheets and their associated glaciers formed by the accumulation of snow over hundreds of years, occupy 11% of Iceland. The pressure on water trapped in geothermally heated cavities close to the land surface is occasionally relieved generating Geysers. The itineraries in the Guide provide a representative selection of sites of the above. The oldest rocks in Jamaica are Cretaceous with the succession dominated by andesitic volcanic rocks with associated limestones representing an island arc system. 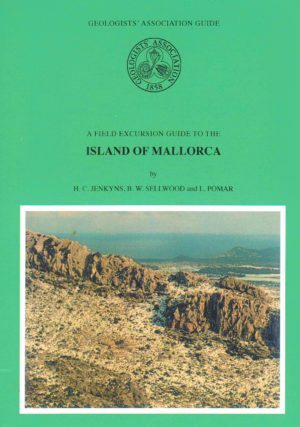 The principal features of the geology of the island are described followed by ten itineraries which illustrate at outcrop the variety of the Cretaceous to Recent rocks including granite-like intrusions, volcanic lavas and altered ashes, mineral deposits, highly fossiliferous limestones and shales, and economically important bauxites. Car hire is recommended. The Aberystwyth Grits and Borth Mudstones (Silurian) are magnificently exposed in accessible cliffs along the coastline of Cardigan Bay and are world-famous as classic examples of turbidity current deposition. But the region is also known for the variety of its glacial landforms and modern sedimentary environments . Nineteen itineraries are described in detail, the first eight dealing with the variations in the turbidite fan succession between New Quay in th south and Harp Rock in the north. 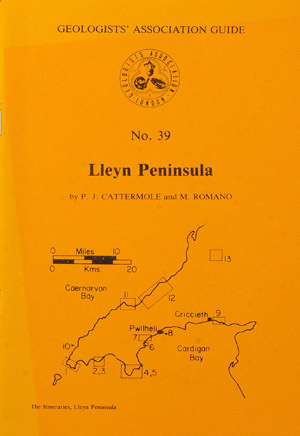 The rest cover the Dovey Estuary, the Quaternary and solid geology of Cardigan Bay and the Plynlimon area. A glossary is included. In order for the Guide not to become out-of-date it concentrates on exposures that are likely to remain in their present state for some time, thus some abandoned sites are omitted. The interested geologist will find the locations easily, observe the main features with no trouble, and be able to do this for some years to come. 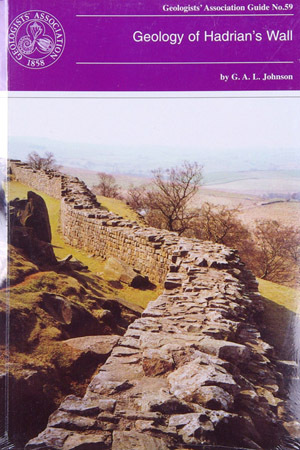 The geology of Hadrian’s Wall falls naturally into three sectors: in the East the wall is over Upper Carboniferous Coal Measures and Millstone Grit; the Central Section is underlain by Lower Carboniferous intruded by the Great Whin Sill and in the Western sector the Wall crosses the New Red Sandstone. Glacial drift is widespread. All three sectors are described with specific sites in detail. 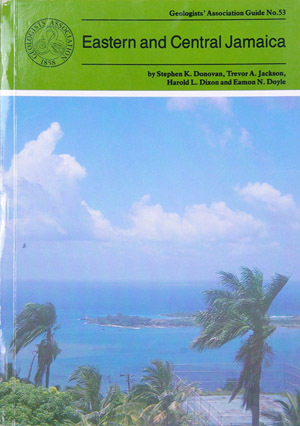 The purpose of this field guide is twofold: to provide a general introduction to the island’s geology and secondly to provide descriptive accounts of locations which can be visited to see this geology. 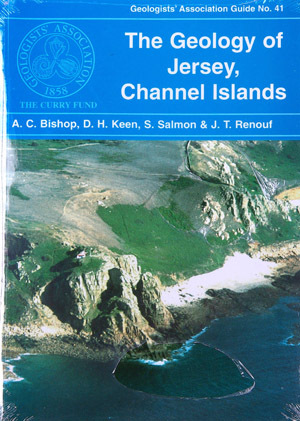 The island is an importance source of fossils and has some of the richest collecting locations in Britain. It is commonly known as the ‘Dinosaur Island’. Geology and topography of the battlefields of France and Belgium had an important role in determining the character and the outcome of many of the most famous battles. 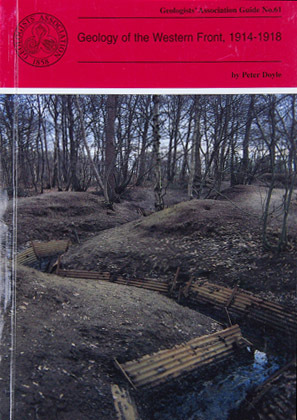 This Guide is intended for all people with an interest in the British sector of the Western Front and, although geological terms are included, they are kept to a minimum and those that are deemed essential are included in a glossary at the end of the guide. This guide is intended for those who are intrigued by the various manifestations of volcanicity and who wish to experience first hand the consequences of such without having to trek long distances in dangerous terrain. All locations in this guide are either roadside or involve walking short distances along tracks. Compiled by Albert Horton & Peter Gutteridge. A major guide to the exposures of highly significant Precambrian, Carboniferous and Permo-Triassic through to Jurassic rocks of the East Midlands. Eleven itineraries (or excursions) of variable length detail the geology of each location, such as the rock types, the palaeoenvironmental interpretation and fossil content, the structure, geomorphology and mineralization . The areas covered extend from Charnwood Forest (Precambrian) to Wirksworth, Ashover, Ecclesbourne, Alport and Holymoorside in Derbyshire (Carboniferous) to Nottingham, Vale of Belvoir and South Lincolnshire, Leicestershire and Northamptonshire (Permian-Jurassic), many illustrated with colour photographs and diagrams. 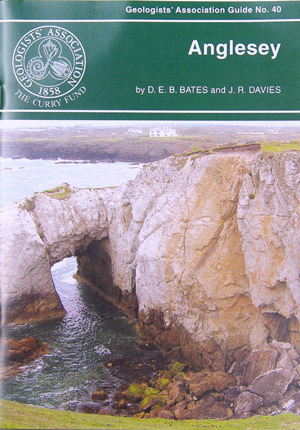 The only British Guide to the geological controls on the D-Day landings in Normandy. 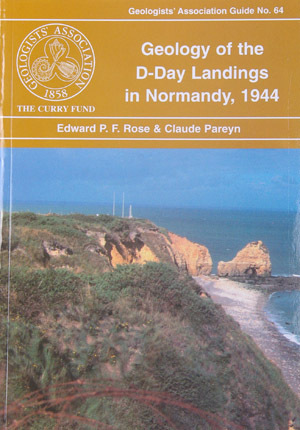 The guide puts into context many of the reasons why the Normandy coast was selected for the invasion, reasons most people are, or were, unaware of. The four itineraries are based on examining the solid (mainly highly fossiliferous Jurassic strata) and superficial (such as Pleistocene loess) geology exposures associated with and adjacent to the main landing areas, Sword, Juno, Gold, Omaha and Utah Beaches, including considering them in terms of water supply, aggregate sources, airfield sites and cross-country movements. A glossary is incorporated. 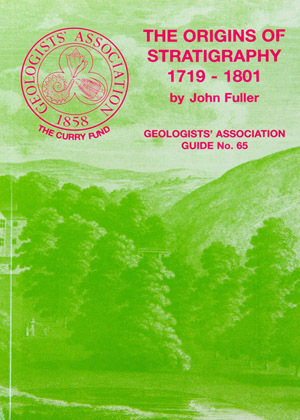 A historical guidebook to the early days of stratigraphical geology in the Bath area, illustrated by many diagrams and photographs of locations associated with the working lives of John Strachey and William Smith. 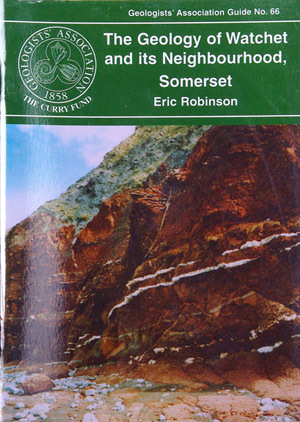 A short guide, very suitable for beginners, to the Devonian, New Red Sandstone and Jurassic (Lias) rocks in the vicinity of Watchet. Relatively gentle walks along the foreshore and inland to view exposures, plus the added bonus of examining the usage of local and imported rocks for walls, housing and bridges. The Dalradian of Scotland probably offers the greatest variety of metamorphic rocks to be found in the British Isles. Here we find sedimentary rocks originally ranging in composition from muds to sandstones and conglomerates as well as a wide range of calcareous rocks and volcanics. 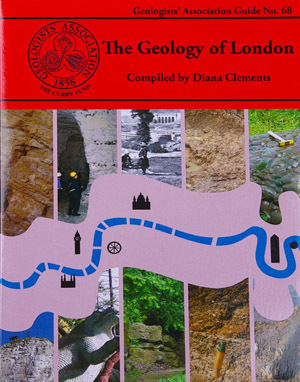 The new Guide to the Geology of London has chosen ten Itineraries from within the M25 to provide snapshots of the rocks underlying London. It aims to cover all the rocks types that outcrop within the area. It describes several SSSIs including Harefield, Charlton, Abbey Wood, and Quaternary sites in east London. Chalk is described from the magnificent quarry at Riddlesdown, Croydon as well as underground at Chislehurst and Pinner. 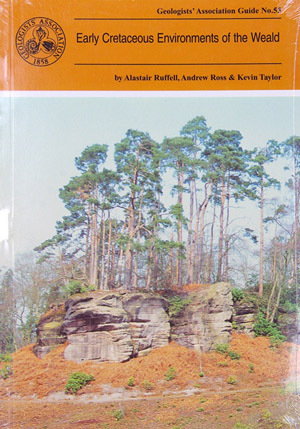 Geomorphology walks and the Geological Illustrations of Crystal Palace Park are also described. It is a multi-authored guide drawing on the best authority for the locations chosen. *NEW* Digital downloads of separate itineraries from this guide are also available to purchase here. 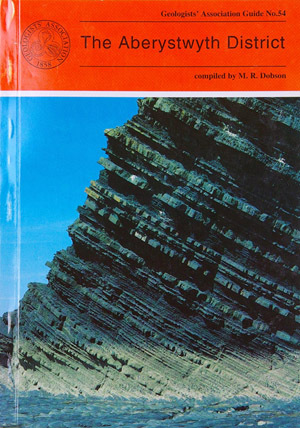 This guide book is written for those who have little background knowledge of geology. 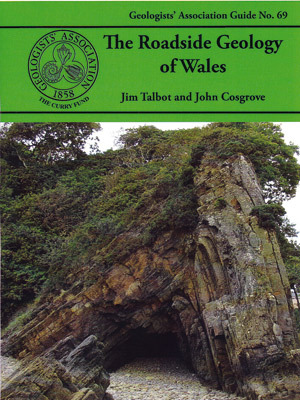 It focuses on the geology of Wales that can be seen from a car and the descriptions are organized in relation to the main roads. The best outcrops are in the sea cliffs and on beaches and these are also described where they are easily accessible from a main road. Many examples of geological activity are illustrated along the roads and cliffs of Wales including basin sedimentation and volcanic activity. The effects of plate tectonics in opening basins and folding and metamorphosing the rocks in two major continental collisions are recorded in the Welsh Mountains. 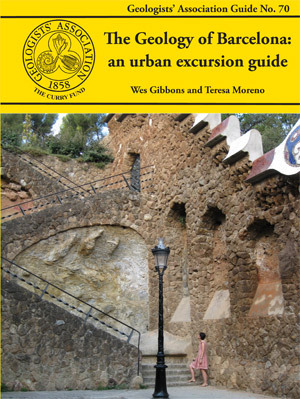 This guide describes the geology and scenery of the Mediterranean city of Barcelona. Although a popular tourist destination much in demand for its cultural and historical riches, Barcelona is equally interesting from a geological viewpoint. The three excursions described in this guide can easily be completed in a short citybreak visit using public transport. The excursions (listed below) visit many of the scenically most attractive parts of the city, including places as yet virtually undiscovered by tourists, and provide an opportunity to see Barcelona from a different perspective. 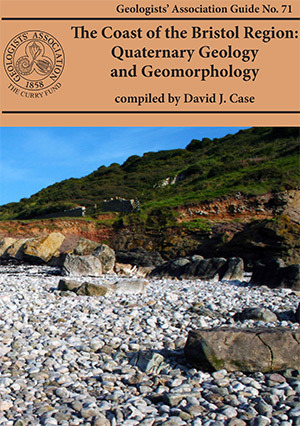 The Quaternary geology and geomorphology of the Bristol Region coastline has great importance as a record of, and analogue for, climate fluctuation and sea-level change. This guide covers five excursions between Oldbury Flats, c. 7 km north-east of the First Severn Road Bridge, to Lilstock, c. 12 km west of Burnham-on-Sea. This is a combined research volume and comprehensive introduction to what is probably Britain’s most spectacular and diverse decorative marble, yet the least well-known. Many people are familiar with Purbeck Marble and some will know of Ashford Black Marble from Derbyshire and the specimen marble items that flowed from that, but few have heard of Devonshire Petitor, Ashburton or Ogwell marble, or of the much more unusual Rose Red Radford, once used to make a massive stone-built valentine fireplace. Yet these are iconic British marbles spread not only amongst an amazing number and diversity of UK and worldwide buildings, they were also the basis for a specimen marble ornament industry that rivalled the Derbyshire one.This new GA guide is in two volumes. Volume 1: Understanding the marbles, highlights the discovery, characteristics and uses of Devonshire marble, its origin amongst the Devonian Coral seas of Devon and the formation of its rich textures in the geological upheavals that followed. 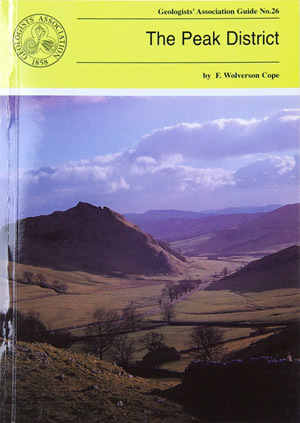 In Volume 2: Recognising the marbles, there are guides to the best outcrops of the limestones, to the 30 best buildings up and down the country that contain the ‘marbles’, to the fossils, once collector’s items, and of course to the marbles themselves, of which there are at least 20 distinct varieties. 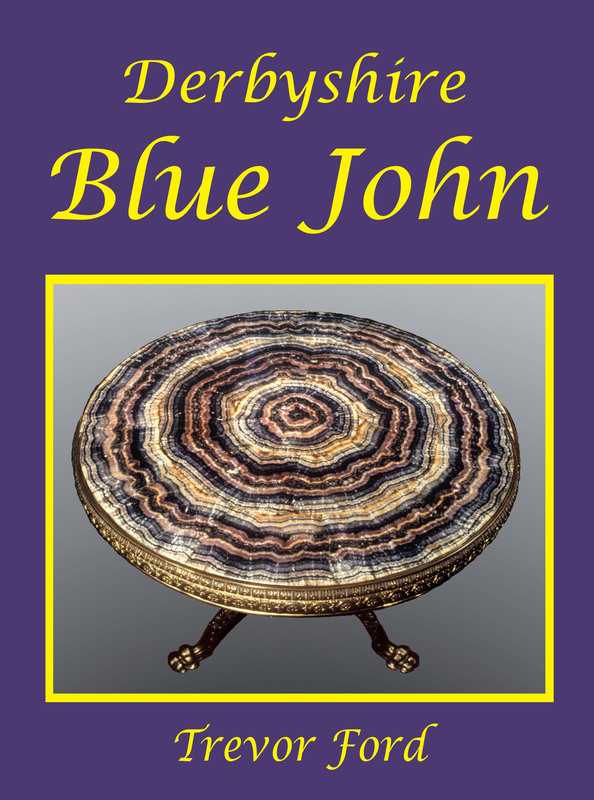 The definitive and comprehensive account of Blue John mineral, describing its discovery, geology, mineralogy and mining, and its uses in ornaments, jewellery and inlay over the years. Fully revised, expanded and updated Third Edition of the classic text first published in 2000. 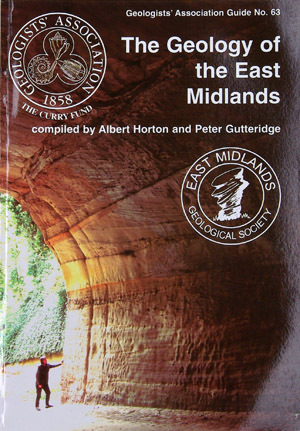 Published by the East Midlands Geological Society. 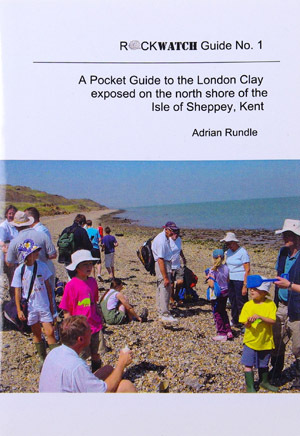 A pocket guide to the London Clay exposed on the North Shore of the Isle of Sheppey, Kent. It has general information on the fossils of the London clay along with helpful suggestions for collecting. There are sections with short descriptions of fossil types to be found, accompanied by clear, labelled illustrations. A neat pocket guide, easy to use in the field. Refund Policy: You have the right to cancel your order within seven days of purchase, or seven days of receipt of the goods (whichever is the longer). If you do wish to cancel your order, your payment will be returned. 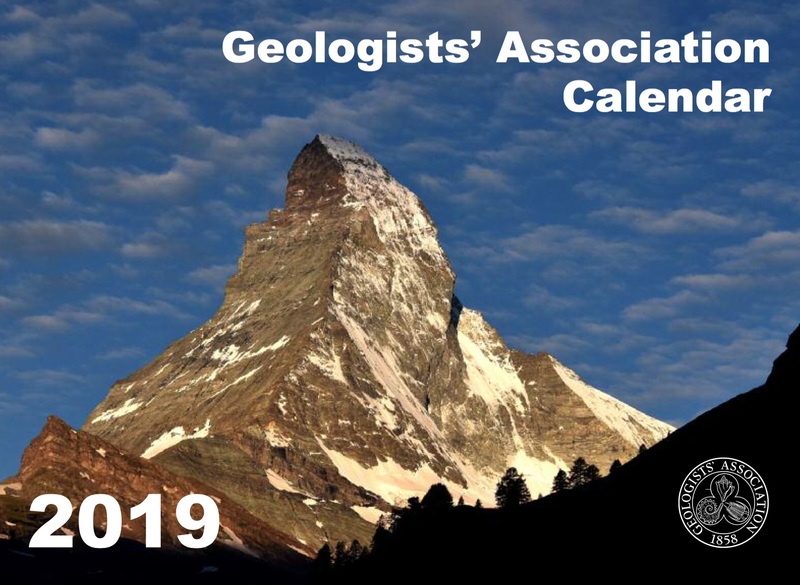 Please contact us on sales@geologistsassociation.org.uk for details on how to cancel your order and/or return your guides.